By now, most of you probably know about our rocky relationship with The Walking Dead here at Cinema Smack. Unfortunately, that won’t stop the show from continuing to push us to our limits. On Sunday night, The Walking Dead Season 7 concluded in typical bland cliffhanger fashion. We’ve already ranted on how far the show has fallen here and here. This time around, we’re going to try (keyword: try) to be more objective and focus on the ups and downs of this season. Obviously, we have to start with the Season 6 cliffhanger. Negan (Jeffrey Dean Morgan) bashes one of the main character’s brains in and the group is left broken. The victim ended up being the red-headed Abraham (Michael Cudlitz). However, Negan wasn’t done after a stiff punch from Daryl caused the death of the longtime fan-favorite, Glenn (Steven Yeun). With such a promising first episode, what could go wrong? Apparently, a lot. 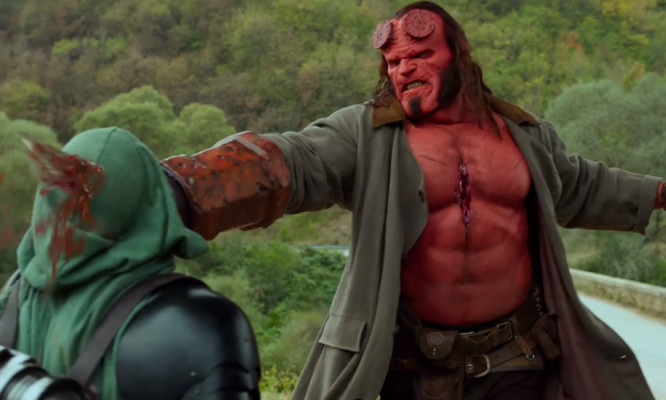 The episode received a ton of backlash from fans due to its two gruesome kills. Has everyone forgotten that this is a show about the zombie apocalypse? Remember the bloated walker in the well at the farm in Season 2? Remember the zombie girl with no legs crawling in the grass in the series premiere? Or how about that time that Rick (Andrew Lincoln) rips out that guy’s throat with his teeth? This is a show that has been and should be graphic at times. The brutal scene carried a lot of emotional weight for the characters and fans of the show that was enhanced by its graphic nature. This was an episode that was actually done right. Kudos to the showrunners for staying true to the comics for that episode and delivering a heavy blow. Anticipation was at a total high coming off The Walking Dead Season 7 premiere. How would they possibly follow up the last episode? Well, they followed it up by not addressing the events of the previous episode whatsoever. 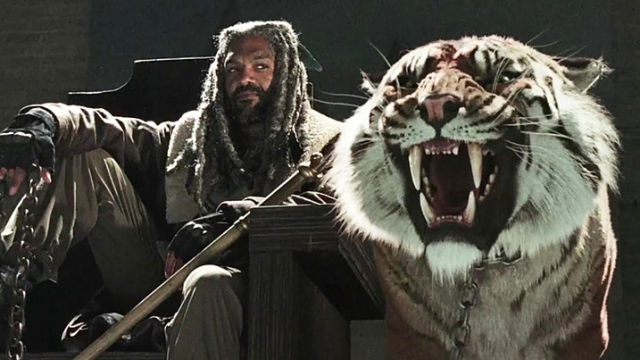 Instead, we got a full episode of Carol (Melissa McBride) and Morgan (Lennie James) being introduced to King Ezekiel (Khary Payton), his pet CGI tiger, Shiva, and The Kingdom. 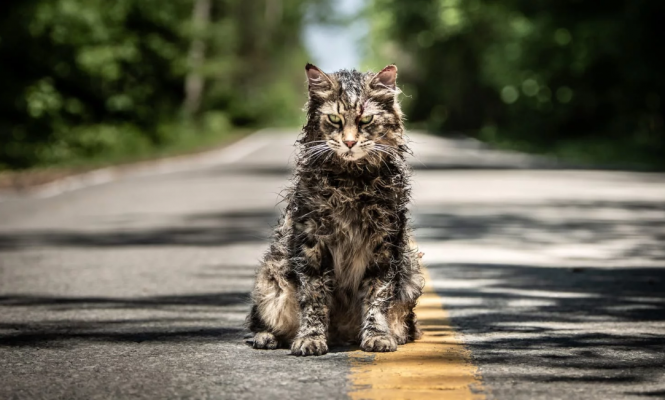 While it’s understandable why the showrunners introduced The Kingdom, it killed any momentum the premiere built and we didn’t see The Kingdom again until the second half of the season. Not to mention, the episode was unbelievably boring. From here, it was all downhill with Season 7 bottoming out by the sixth episode. Poor Alanna Masterson was even fat-shamed on the internet by fans during her character, Tara’s, solo adventure to the all-female Oceanside community. This was another mundane episode, yet, that’s still no excuse for the abuse Masterson suffered following giving birth and nursing her daughter over the past two seasons of the show. In all honesty, there’s not a whole lot to say about most of The Walking Dead Season 7. It mainly consisted of Rick’s group of survivors convincing/coaxing other communities to join them in their fight against Negan’s Saviors. Alexandria, the Hilltop, and The Kingdom were the three main communities with Tara giving up Oceanside’s armory. Eventually, Rick stumbled upon a group of awkward “trash people” in a junkyard with whom he makes a deal with. Other than that though, there’s a lot of wasted opportunity and meandering throughout all of Season 7. The few highlights all revolve around Negan. 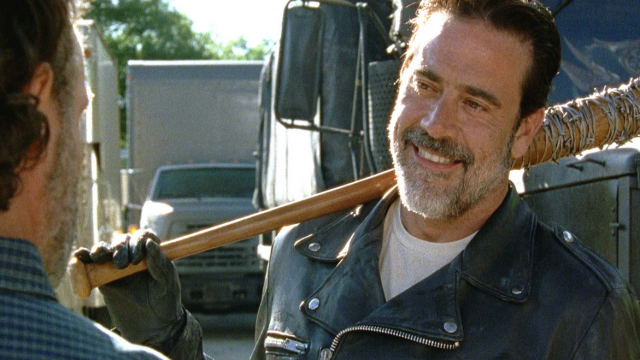 Jeffrey Dean Morgan is simply electric every time he’s onscreen. While some of his episodes can get a bit long winded, his delivery and charisma keep your eyes locked on him at all times. 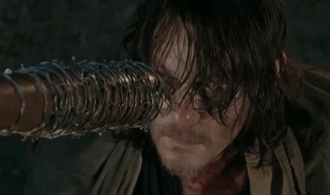 In the third episode, “The Cell,” Daryl (Norman Reedus) is tortured with a chipper tune called “Easy Street.” Negan’s sick sense of humor is like no other. He basically tries to convince Daryl of being on “easy street” as long as he accepts his fate as one of Negan’s people. It’s an uncomfortably demented episode but also one of the most memorable. Not to mention, the song is ridiculously catchy. Again, there’s simply not much else to say about The Walking Dead Season 7. It dragged its limp, lifeless storytelling out for sixteen more episodes and ended with a declaration of war along with the death of another main character. Though, it was all so predictable. As Negan is about to quench his barb wire baseball bat, Lucille’s, thirst for blood with Carl’s (Chandler Riggs) head, members of The Kingdom and Hilltop save the day. Somehow, they attack the Saviors from inside Alexandria which made no sense whatsoever either. Again, you could see it coming from a mile away and it wasn’t a satisfying ending to another hackneyed season. As we’ve said in the past, The Walking Dead‘s biggest problem is its lack of likable characters. There are many who are quickly introduced and killed off. Then there are the long running characters who become whiny and annoying. It says a lot that the best character on the show is Negan who has only been around for one full season. Carol’s abrupt refusal to kill following Maggie’s pregnancy made zero sense. 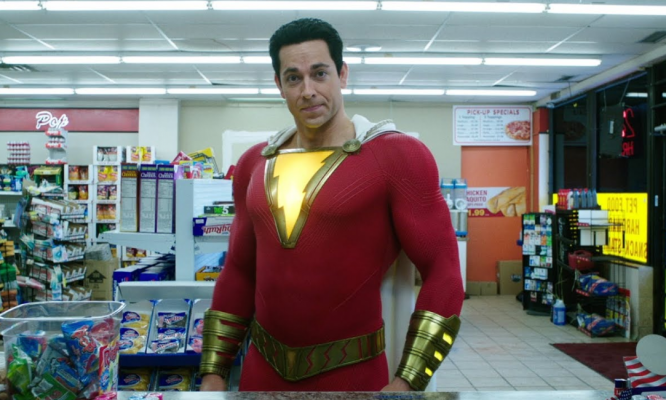 This is a character who burned people to death and shot and killed a child. On top of this, Morgan suddenly changes his mind about killing as well. Both character changes were jarring and made little impact on the story while being more maddening than anything. It’s hard to say where The Walking Dead is headed from here. Viewership has dropped but it still rakes in millions of viewers on a weekly basis. Yet, there’s no doubt about it that the show is on a slow decline. Even longtime defenders of the show are beginning to see its flaws. It has honestly become difficult to continue following the show with such a massive lack of consistency and quality. While I usually don’t like to personally address my feelings, I’m honestly not sure whether I’ll watch next season or not. The show has become so stagnant, predictable, and it’s not enjoyable to watch. Whether or not we cover next season, The Walking Dead Season 7 may be marking the beginning of the end for the one-time universally acclaimed zombie series.